Here D is a parameter related to the fractal dimension. My idea is to make a grass hunt game/experience. 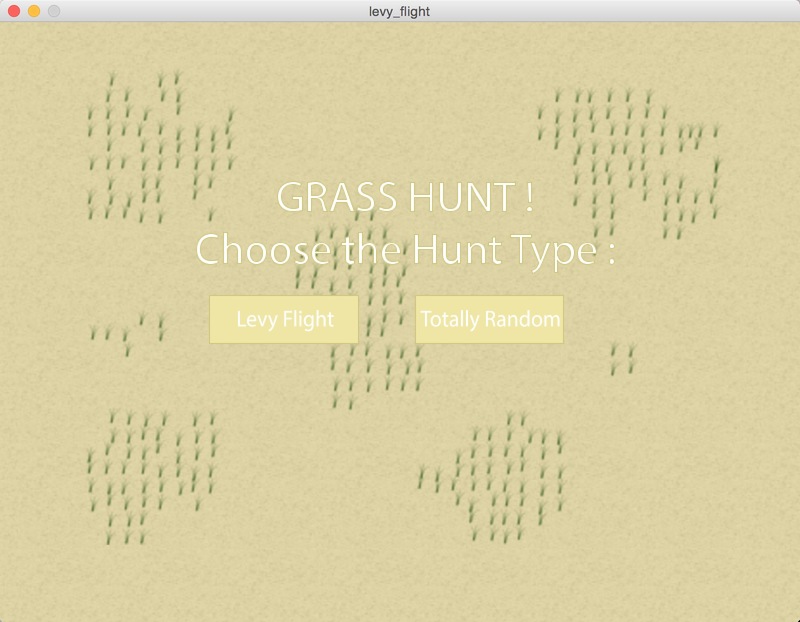 To create a grass map as background, then use levy flight as the grass-hunting route to find&eat grass. Finally it will show you the total number of grass you eat within the specific period of time and the route. 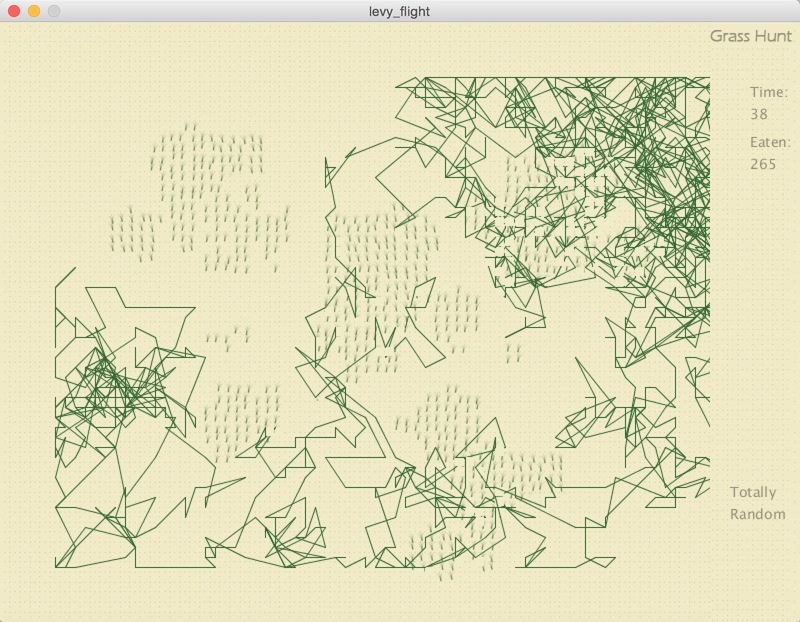 Then compared it with the totally random walk. 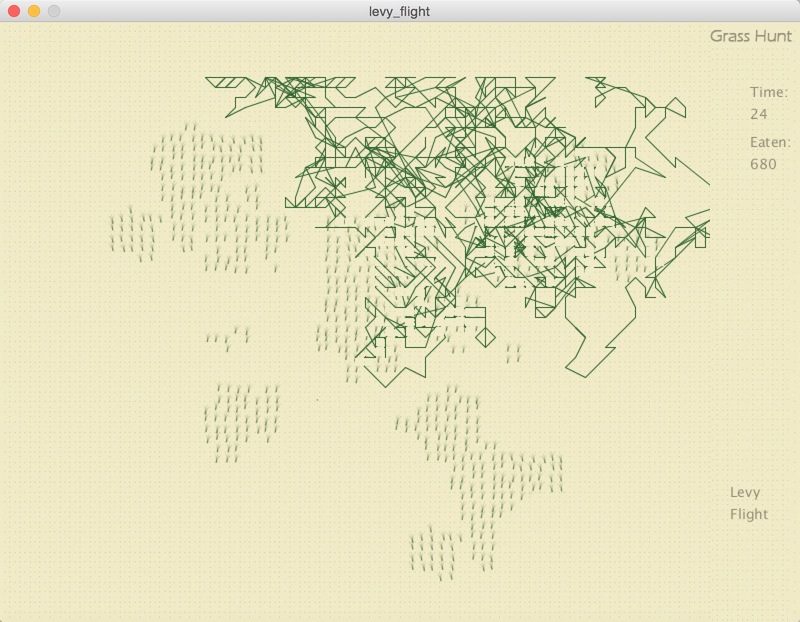 I made a comparison for the route of Levy Flight walk and the totally random walk. Here to see the route of different walk types. We can see the route of totally random is super massy while Levy Flight is much more organized. I calculated the number 5 times for each of them. The average eaten number for Levy Flight is 407, while the totally random is 233.